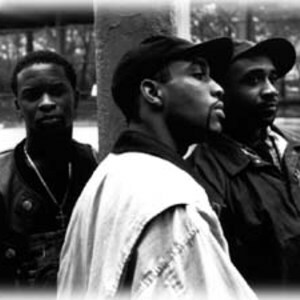 Their first album, "Straight Out the Jungle", was released on an independent label and featured a hip-hop/house collaboration "I'll House You" produced by Todd Terry. In spite of the commercial failure of Straight Out the Jungle, Warner Brothers Records soon signed the group and released Done By the Forces of Nature in 1989 (see 1989 in music). The album was a critical smash at the time, though it has since been largely ignored by hip-hop critics, due to the similarly acclaimed fusion of jazz and rap 3 Feet High and Rising by De La Soul being released the same year. Following a four year break, the Jungle Brothers returned in 1993 with J Beez Wit the Remedy, another commercial disappointment. Their next album, V.I.P. was produced by Alex Gifford of Propellerheads and, during production, they found time to add their vocal stylings to the Propellerheads tracks "Take California (And Party)" and "You Want It Back". Their latest album to contain any new releases is 2002's All That We Do. In 2001, their song "What's the Five 0" was featured in the music video game FreQuency. In 2004, the Jungle Brothers joined with English producer Mr On to produce "Breathe (Don't Stop)", a version of "Breathe and Stop" by Q-Tip of A Tribe Called Quest, combined with a sample of Michael Jackson's "Don't Stop 'Til You Get Enough". In 2005, the Jungle Brothers released a "greatest hits" and "classic remixes & rarities" double-CD entitled This Is..., which included remixes by The Wiseguys, Urban Takeover, Natural Born Chillers and Stereo MCs.